Wal co-founded Chrysalix in 2001, building it to one of the most recognized venture capital firms focused on industrial innovation. He has sourced, invested in and advised numerous startups, assisting them in building breakthrough solutions for the new world economy while working with large multinational companies on their innovation strategies. Currently Wal is a member of the Board of Directors at Chrysalix portfolio companies General Fusion, Inventys and Axine Water Technologies. Wal is an Advisory Board member of the Cleantech Group, a judge of the Cleantech 100 Awards and is a frequent speaker at events like GLOBE Series, Oil & Money, the BCTECH Summit, Energy for Tomorrow and the Cleantech Forum. He has been a longstanding contributor to the tech community in British Columbia and abroad as the founder of New Ventures BC, a founding member of the BC CEO Alliance and Evok Innovations, and contributor to various Vancouver greenest city projects. Prior to Chrysalix, Wal was the VP of Strategy at Westcoast Energy, at the time one of Canada’s largest energy companies. Earlier, for more than seven years he advised energy, chemicals and financial services blue chip companies on strategy, innovation and change management while working with McKinsey & Company, the leading international consultant. Prior to this, Wal was an Associate Professor at the Vrije Universiteit Amsterdam and consultant to the World Bank and European Union. He has been an adjunct professor at both SFU’s Beedie School and UBC’s Sauder School of Business. Wal holds a PhD in Economics from the Vrije Universiteit in Amsterdam and has completed courses at MIT in probability modeling and executive training in Change Management. 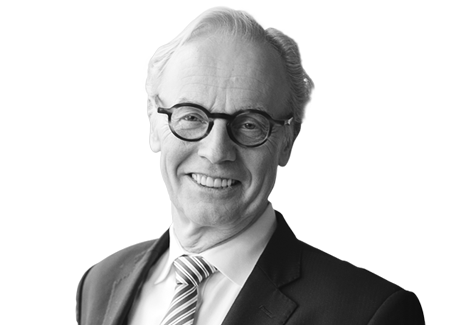 Fred is a Managing Partner based in the Netherlands. His industry expertise spans C-level, Executive Board and CEO positions in oil & gas, chemicals, logistics, innovation and sustainability, and scaling up ventures. Richard is a Managing Partner based in Vancouver. He is an entrepreneur and startup CEO with industry expertise in electric power, material science, mining and metals. Wal is the Founder of Chrysalix and a Managing Partner based in Vancouver. He launched Chrysalix in 2001 and is recognised for his expertise and thought leadership in industrial innovation, energy and cleantech. Charlie is a Senior Partner based in the United Kingdom. He leads the opportunity recognition and investment selection process in the Chrysalix RoboValley Fund and has a special interest in mining innovation. Alfred is a Vice President based in Vancouver. He has incubated and launched ventures from academia and is involved in the development of investment theses, deal sourcing and due diligence with a special interest in energy and resource productivity. Wendy is the Vice President of Finance based in Vancouver. She has nearly 25 years of experience in private equity investment management and works closely with the investment team on valuation and finance matters. Alicia is an Associate based in Vancouver where she develops investment theses, sources deals, conducts due diligence and manages investment portfolios. Alicia has more than 10 years of experience working in and advising industrial technology companies. Joyce is an Associate based in Vancouver. She has expertise in operational risk and change management and disruptive transformation for resource intensive industries including oil & gas and forestry. Daniele is an Associate based in the United Kingdom. He is responsible for developing investment theses and deal sourcing. He has a special interest for companies working in the area of Data Analytics and Machine Learning. Matthias is a former member of the Executive Committee and Director of Projects & Technology at Royal Dutch Shell. His previous roles include Executive VP of Development & Technology, Managing Director of Shell Deepwater Services and Director of Petroleum Development Oman. Mark is the former Chief Marketing Officer at GE Energy responsible for $45B in business including thermal & renewable power generation; oil & gas exploration, development & transport; electric transmission & distribution; and industrial controls. Michael has expertise in executive management, private equity and finance in the natural resource and energy sectors. He was a longstanding executive at Westcoast Energy where he served as Chairman and CEO, CFO and a corporate development executive. Michael is the Director and Founder of Dornoch Capital and is a Director on multiple boards. John is the former VP, Technology and Development at Teck Resources. John left Teck to form PetraScience Consultants Inc., providing exploration and technology services to the mining industry. He is the Wold Professor in Environmental Balance for Human Sustainability at Cornell University. Stefan is the CEO at Nauto, an AI platform for urban mobility. Previous roles include consulting Professor at the Precourt Institute for Energy at Stanford University; and Director at McKinsey where he cofounded the Cleantech and Sustainability Transformations practice. Stefan is the co-author of the Resource Revolution. Peter’s expertise is in growth and innovation, natural resources and energy, software, technology commercialization and corporate venture capital. His former senior leadership roles include GE and Computer Associates. Peter is a senior fellow at the Kellogg Innovation Network and a Partner at Clareo.